A stake in the offshore oil concession that's set for renewal in March would mark a second big win of crude development rights in the emirate for China National Petroleum Corp.
China and India are each targeting a share of Abu Dhabi's largest offshore oil fields as the Persian Gulf producer seeks partners to boost output and ensure exports of its oil to two of the world's most promising markets. A stake in the offshore oil concession that's set for renewal in March would mark a second big win of crude development rights in the emirate for China National Petroleum Corp. CNPC, which in February bought into Abu Dhabi's largest cluster of onshore fields, agreed on Wednesday with Abu Dhabi National Oil Co. to study cooperation in areas including offshore energy and natural gas deposits, Adnoc said in a statement. 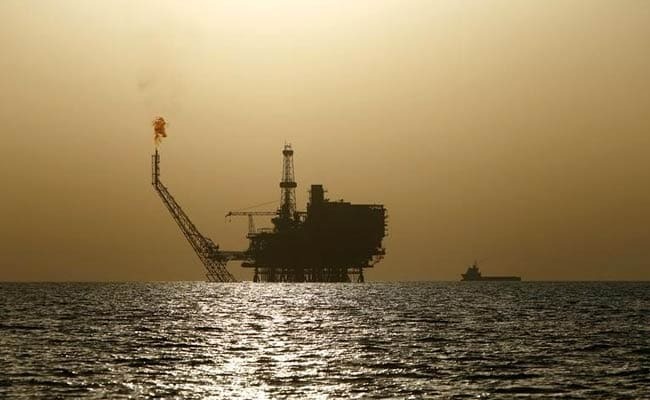 India's state-run Oil and Natural Gas Corp. is also bidding for stakes in the fields off Abu Dhabi's coast, Amar Nath, an Indian government representative on the company's board, said Wednesday at a conference in Abu Dhabi, the United Arab Emirates capital. The Indian company will bid through its wholly owned international arm ONGC Videsh Ltd., said Mr Nath, who is also a joint secretary for exploration at the country's oil ministry. "The U.A.E. has been a very important partner for a long time, and we have had energy interaction for a long time, but now we want to move beyond that," Mr Nath said. "In order to enhance that, our companies are participating." CNPC will discuss a partnership at the offshore Lower Zakum, Umm Shaif and Nasr fields, according to Adnoc's statement. The three areas are part of the concession expiring in March. Adnoc currently holds 60 percent of the block, with BP Plc, France's Total SA and Inpex Corp. of Japan holding the rest. BP Chief Executive Officer Bob Dudley said Monday in an interview in Abu Dhabi that his company wants to renew its participation in the offshore fields. Wintershall AG also is "very interested' in the offshore fields Adnoc is tendering, CEO Mario Mehren told reporters in the city on Tuesday. More than a dozen international companies expressed interest in the concession, Adnoc CEO Sultan Al Jaber said Monday. BP secured a 10 percent stake in the onshore concession in December, agreeing to pay a $2.2 billion signing fee to Adnoc in shares rather than cash. Adnoc's other partners in the onshore deposits are CNPC, Total, Inpex, Korea's GS Energy Corp. and CEFC China Energy Co.